Ans. Yes. Section 43A of the MGL provides that the registered taxable person (principal) can send the taxable 86 87 goods to a job-worker for job-work without payment of tax. He can further send the goods from one job-worker to another job-worker and so on subject to certain condition. It may be noted that provisions of Section 43A are not applicable if non-taxable or exempted goods are proposed to be sent for job-work. Ans. The goods can be supplied directly from the place of business of job-worker without declaring it as additional 86 87 place of business in two circumstances namely where the job-worker is a registered taxable person or where the principal is engaged in supply of such goods as may be notified in this behalf. to be paid along with interest, in case the inputs are not received back within the specified time. The credit can be reclaimed when the inputs are actually received back. Ans. No. 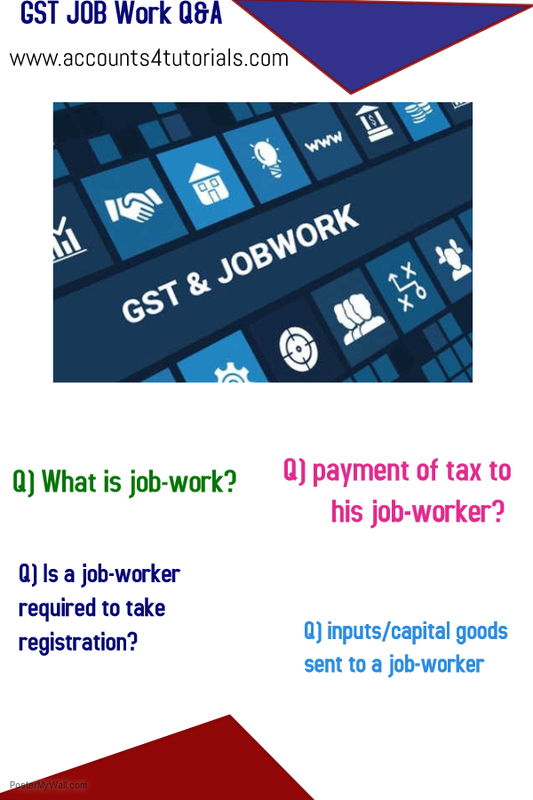 The provisions relating to job-work are applicable only when registered taxable person intends to send taxable goods. In other words, these provisions are not applicable to exempted or non-taxable goods or when the sender is a person other than registered taxable person. Input Tax Credit.